The operation's new dulcet analog tones come courtesy of a partnership between Canadian music distributor Isotope Music Inc. and Czech vinyl manufacturer GZ. But getting the new 20,000 sq. ft. Precision Record Pressing plant operational wasn't without obstacles, vice-president Gerry McGhee told CBC News. Streaming music: a villain or saviour for local labels? 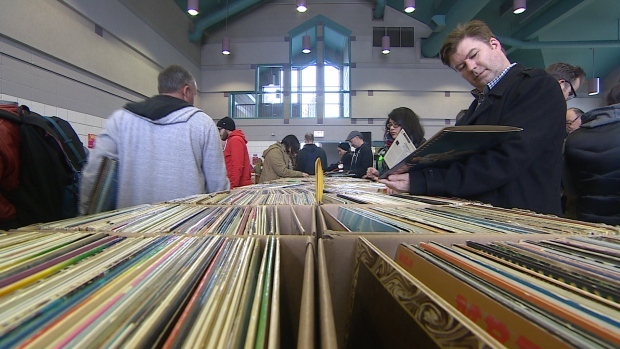 "We definitely saw this vinyl resurgence," McGhee said. "But nobody would sell us any machines." At the industry's low point, GZ was pressing a mere 700,000 units a year, McGhee said. "It never really went away," McGhee said. "A lot of it is the quality of the sound, and one of the biggest parts is the kids are getting into it." But vinyl has carved out its own niche among audiophiles the world over — and that's not changing, McGhee says. "It's never going to completely disappear. It won't be what it was, but it won't disappear." Carter, Adam. "New Ontario Vinyl Plant Aims to Be 2nd Largest in North America - Latest Hamilton News - CBC Hamilton." CBCnews. 2016. Accessed July 12, 2016. http://www.cbc.ca/news/canada/hamilton/news/burlington-record-plant-1.3673610.